Tammy serves as the Financial Secretary for HighPoint Fellowship. 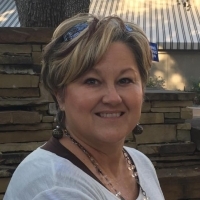 Tammy was employed by Shepherd ISD for 24 years before joining the staff at HighPoint Fellowship. She is married to Ken Haffner and serves with Ken in our Celebrate Recovery Ministry. Tammy enjoys spending time with her family, which includes four adorable grandchildren.